Now leasing! 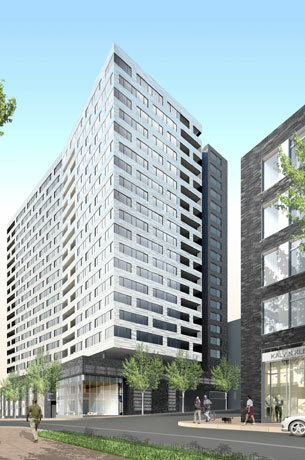 As the tallest high rise apartment complex in Silver Spring, Eleven55 Ripley invites you to experience the area’s next big thing. 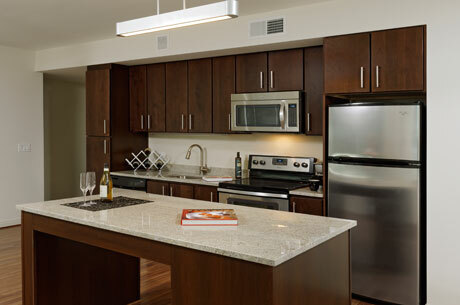 These brand new, luxury apartments offer the most stunning, dramatic views in Silver Spring. Watch the sunset from the Sky Deck; our rooftop pool, lounge, and grill area or from the Sky Lounge, our 3,000-square foot clubroom and video gaming room located on the 21st floor. Add to this our state-of-the-art fitness center with yoga studio, hi-def theater, private Garden Terrace, 24-hour concierge, and you have everything you’re looking for in a home that combines downtown convenience and uptown style. We’re only a few hundred feet from the Silver Spring Metro (Red Line)/Silver Spring MARC station providing easy access from your front door to all this area has to offer. Eleven55 Ripley is designed and being built with the goal of attaining LEED® (Leadership in Energy and Environmental Design) green building certification at the Gold level. As part of this, these homes provide many features with an emphasis on energy-efficiency.